Is Blogging Over? Or Are We Just Bored with the Word “Blog”? “Do we have to use the word “blog”? Can’t we call it something else? Surprisingly these two topics have come up quite a bit lately. I was in a meeting with a product marketing group at a medical company, and these were just two of the questions I was asked about blogging. It could very well be that anyone who doesn’t have “blogger” as part of their job description is beyond bored with the word. Let’s face it, it’s a weird word and it’s everywhere. I have to confess I get a little tired of it myself. But let me fill you in on why it’s still critical to your B2B marketing. Is blogging worth the effort for a B2B company? First, let’s talk statistics about B2B blogs. Businesses with a blog tend to have 434% more indexed pages for their website. B2B marketers who use blogs get 67% more leads than those who don’t. Businesses that blog have 97% more inbound links. Last year, 47% of consumers viewed 3-5 pieces of content before buying a product. These stats just scratch the surface of what a blog can mean for your company. And if these facts and figures don’t seal the deal for you, try thinking about these additional reasons – all of which tie in to the numbers noted above. 3 more reasons why B2B blogs drive your company’s marketing efforts. 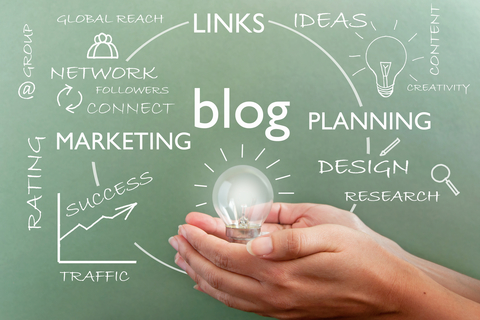 A company blog provides a platform for your potential customers to get to know you. It allows them to research your product or service offerings. It also gives you an opportunity to subtly move them along the buying decision pathway – developing your readers into solid, qualified sales leads. Business-to-business websites are typically fairly static sites – meaning they aren’t something that gets updated that often. Unless you have modifications to a product or service offering, there’s usually little reason to change the language on the company website. Therefore, you need a different way to provide new website content – and a blog is the perfect vehicle. If you don’t consistently publish articles in industry journals and trade magazines, how do you let your potential customers know that your company is an expert in your field? Your company blog provides your business with a perfect venue to showcase your expertise (and guide potential clients through a buying journey). By writing information-packed articles, creating well-researched infographics or Slideshares and publishing video content on your blog, you can demonstrate your credibility as an industry leader. Publishing content on a consistent basis gives you a way to answer your target audience’s most important questions – producing qualified leads for your sales team. By publishing and promoting snippets of your blog content in your social channels, you can not only guide interested readers to your website’s blog but also have conversations about your content with your potential customers. Sometimes, your target audience will comment on your posts or ask questions – giving you the opportunity to connect directly with prospects. Do you still think that your buyers aren’t reading blogs? Your potential customers are out there on the web. They are researching companies with whom they are contemplating doing business. They are reading at least 3 – 5 pieces of your content before purchasing your product or service. Isn’t it time you consider blogging for your B2B company?